An example of fine Melburnian lacework. Picture: Peter Braig. Melbourne is defined by the wonderful lacework of its historic terraces. An architectural feature that distinguishes Melbourne from all other cities in the world is iron lace. 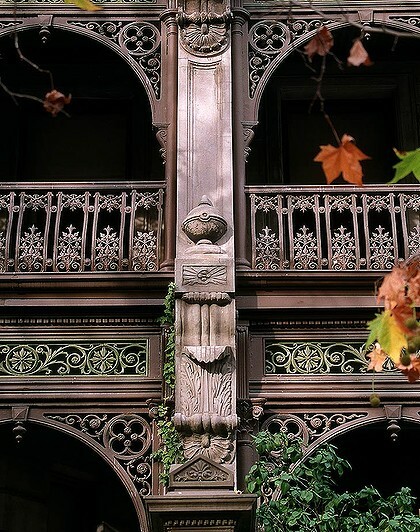 In the inner suburbs, where rows of conjoined terrace houses line the streets, cast-iron filigree is the signature decoration and Melbourne displays more of it than Paris, New Orleans and Sydney. In the post-gold rush era, when Melbourne was entering a housing boom, it was a London trend that kept builders and stonemasons on overtime for decades.